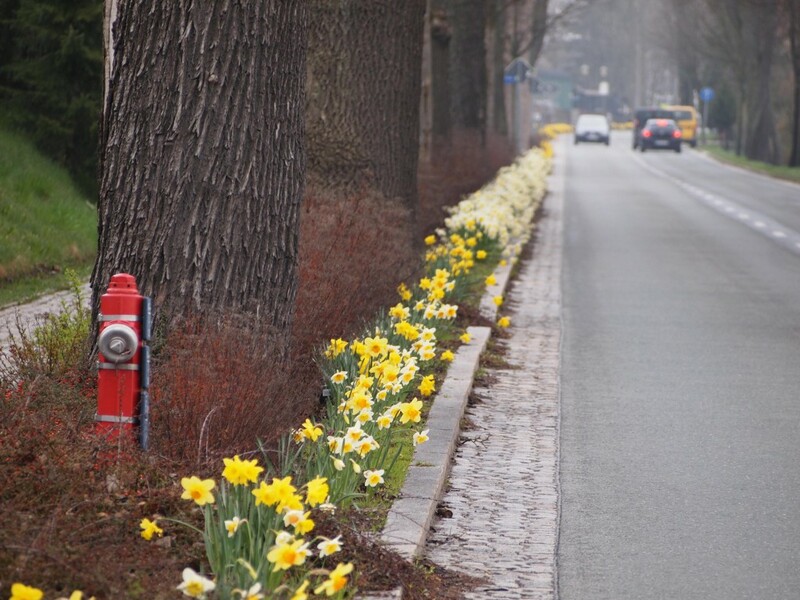 … are those roadside daffodils in spring. Because of them I really like to drive the mountain road from Schwarzenberg to Gruenhain. Kudos to whomever 🙂 !